By default, we block access to Yahoo Mail from outdated apps that could leave your account vulnerable. If we sent you an email indicating that your app is using outdated security protocols or you're unable to log in from an older app, you still have several options available to you. 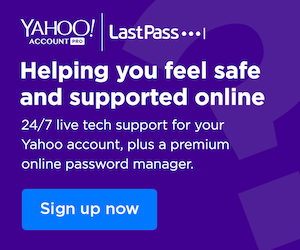 If you try to use Yahoo Mail in an older email client that uses POP or IMAP, you might get a "Server password has changed" or an "Authentication failed" error message. This is because those email apps use outdated security protocols and we've disabled access to them by default now. Use the Yahoo Mail website: https://mail.yahoo.com. Install the Yahoo Mail app on your Android or iOS devices. Update or upgrade to the latest version of the third-party email app that you're trying to use. While you switch apps or update your app, you can give the old app temporary access. Just remember, this is not intended for permanent access and you'll want to turn it off afterwards. You'll get regular alerts reminding you to turn it off after you've enabled this. Turn on Allow apps that use less secure sign in.